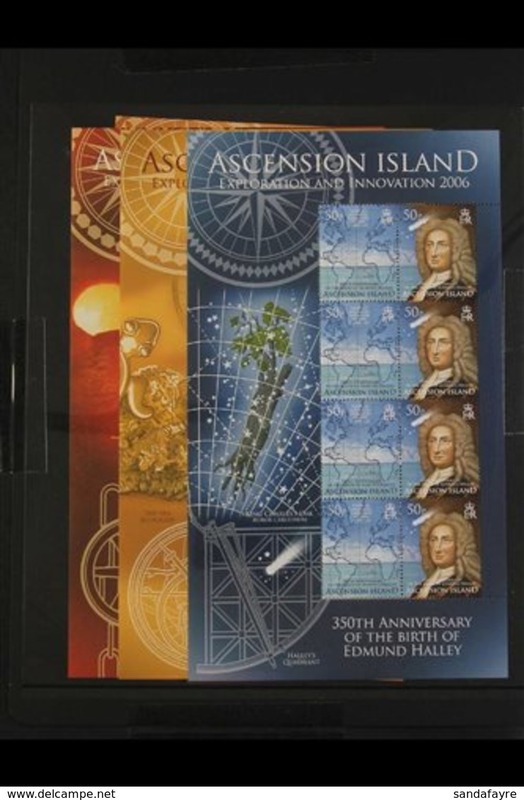 New Ascension 1985 Trees unmounted mint. 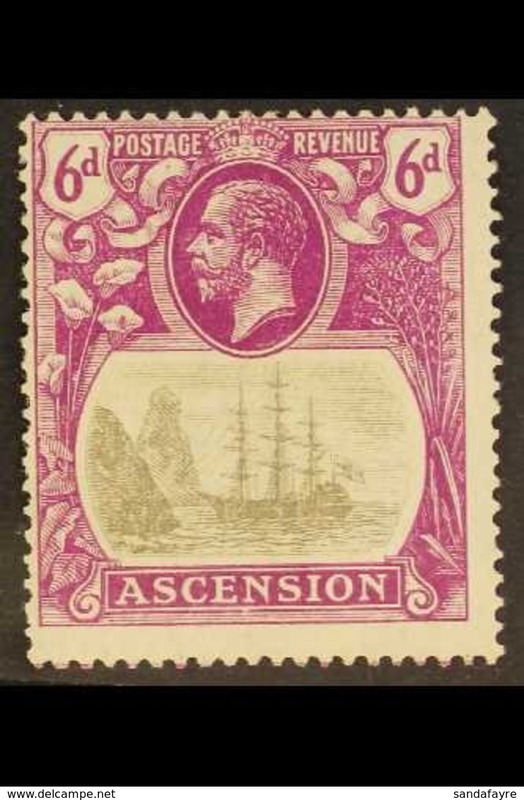 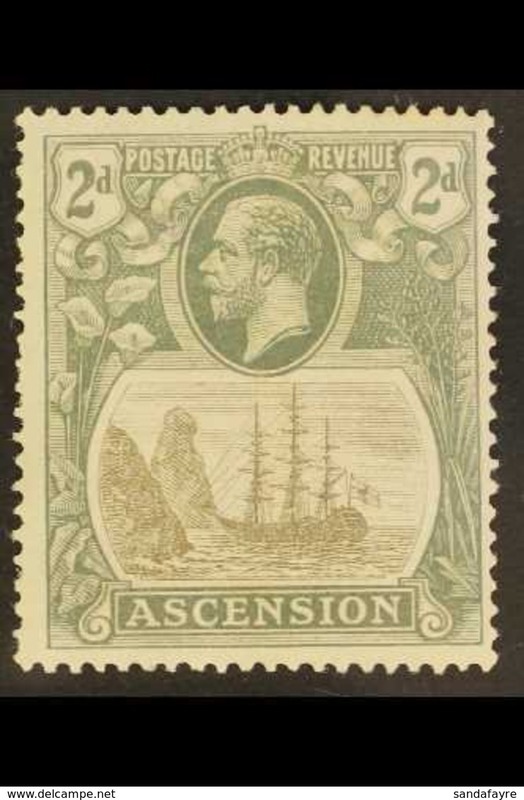 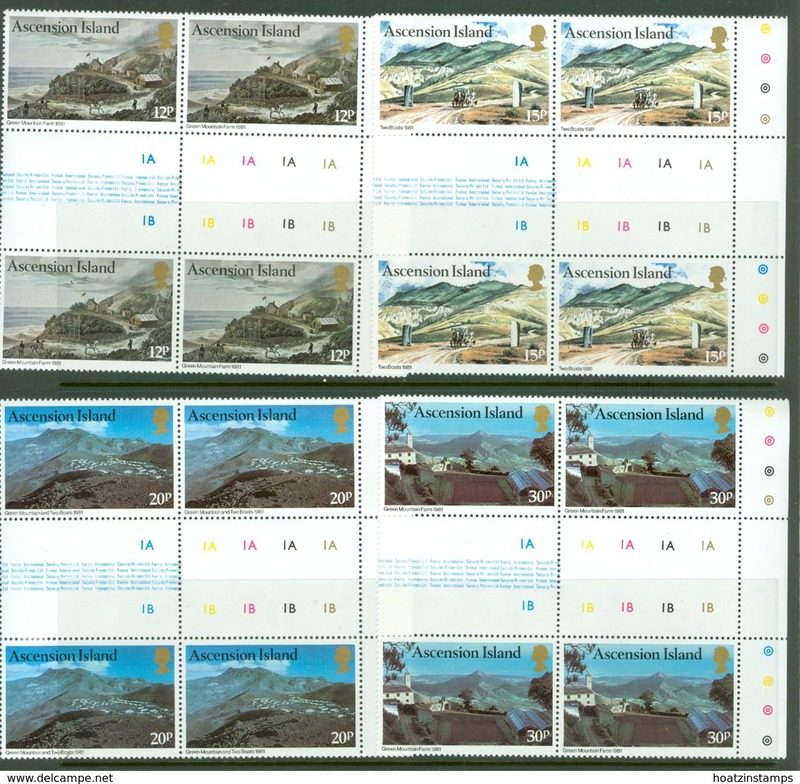 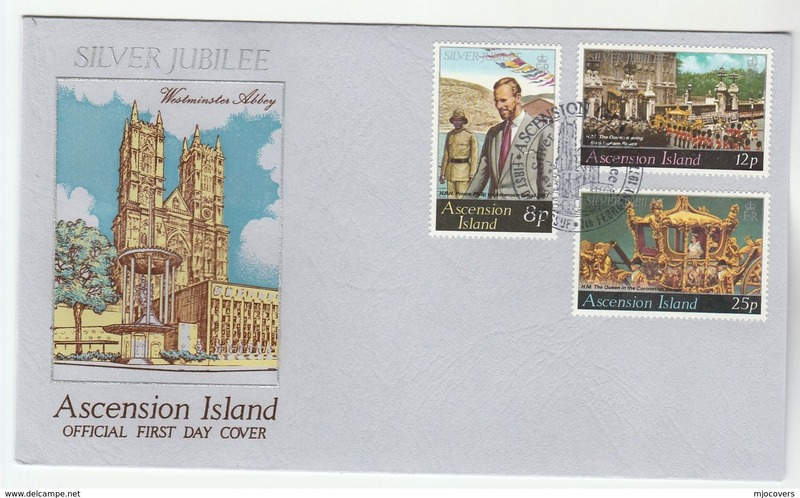 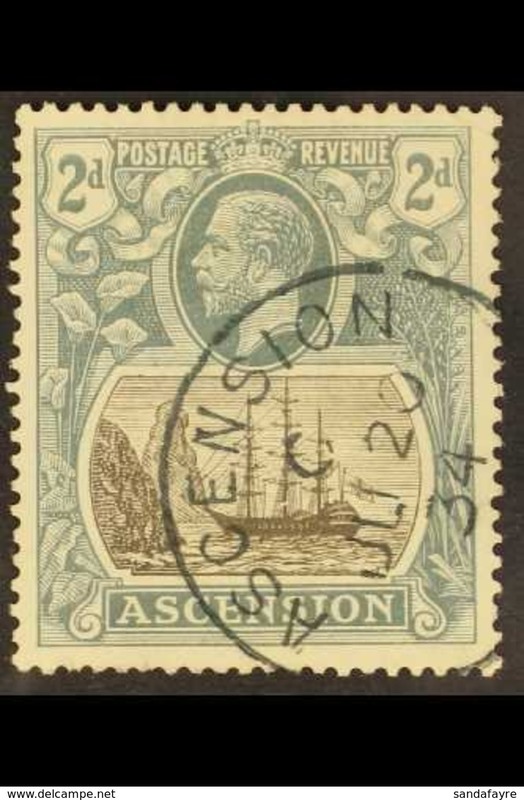 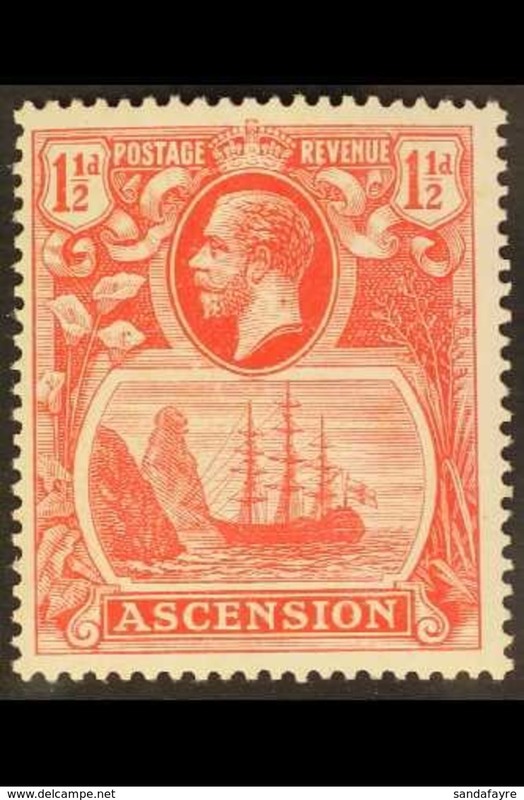 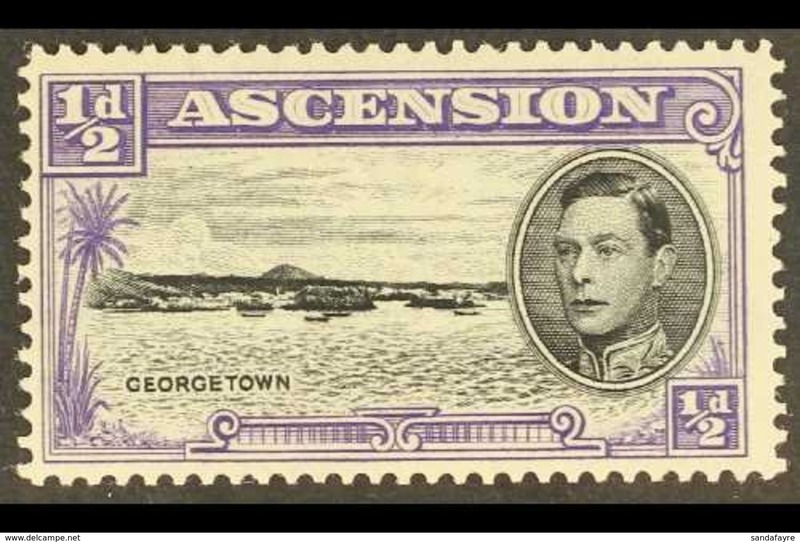 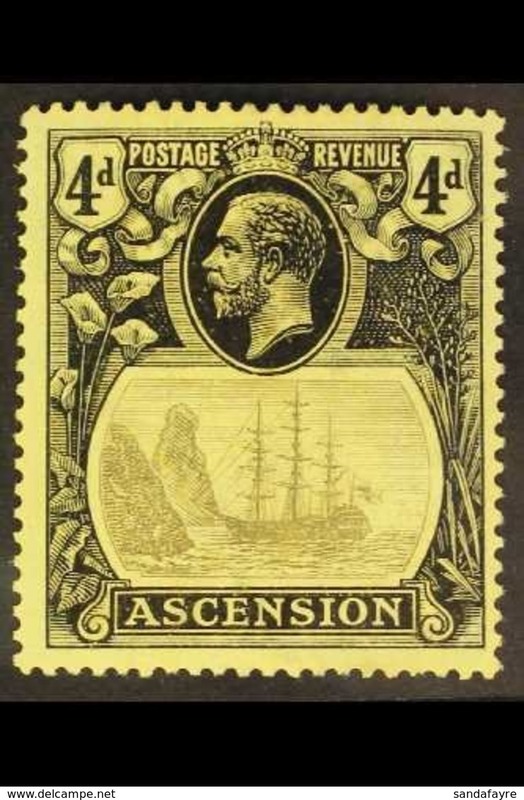 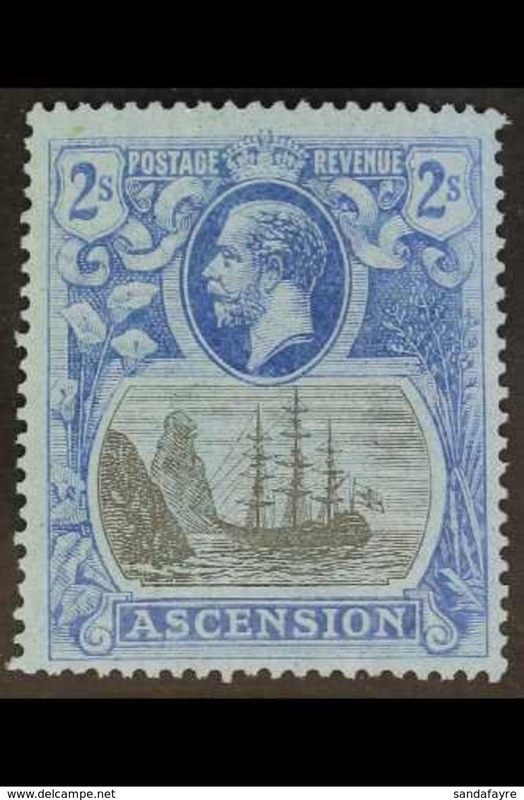 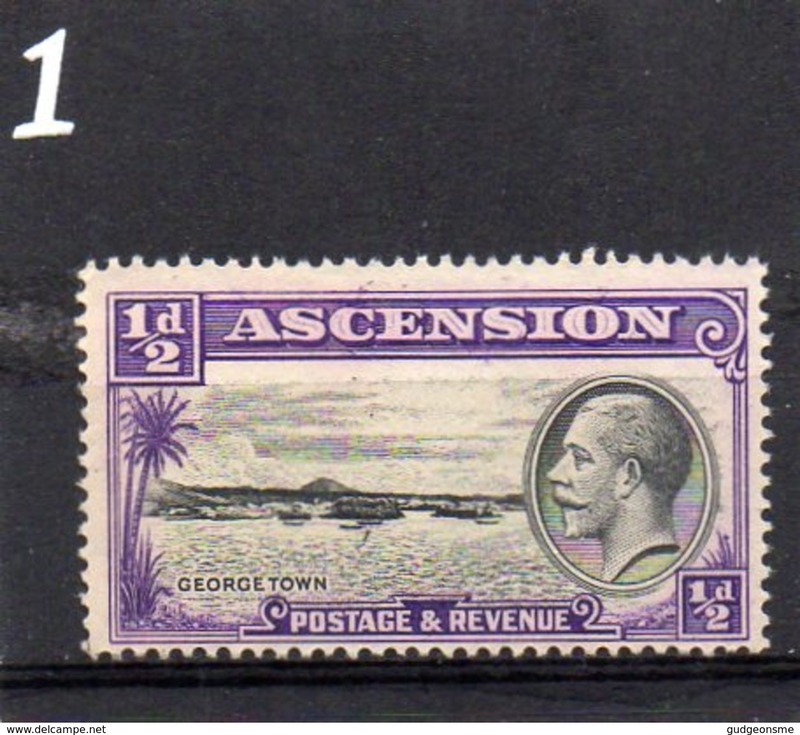 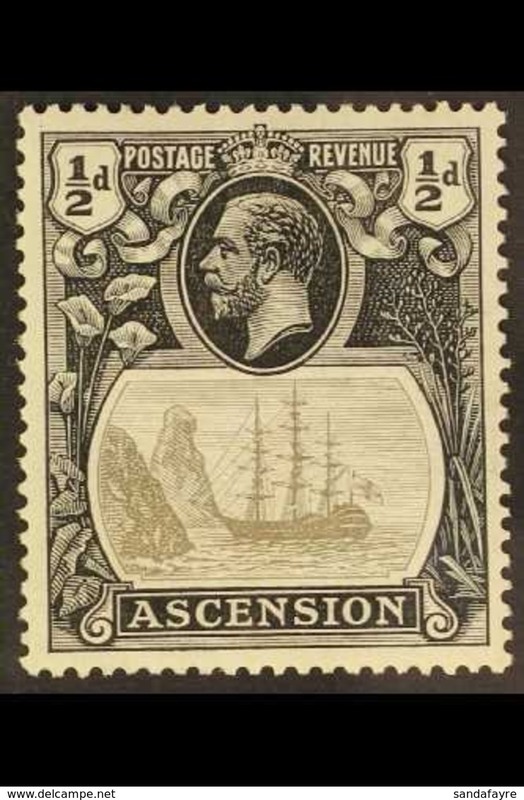 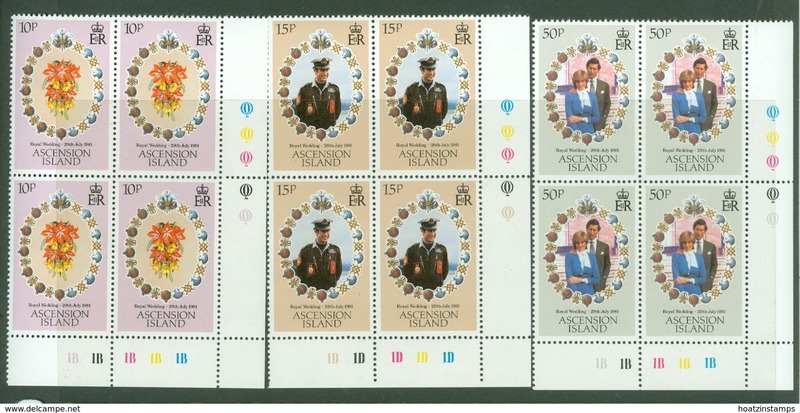 New Ascension 1984 Island Views unmounted mint. 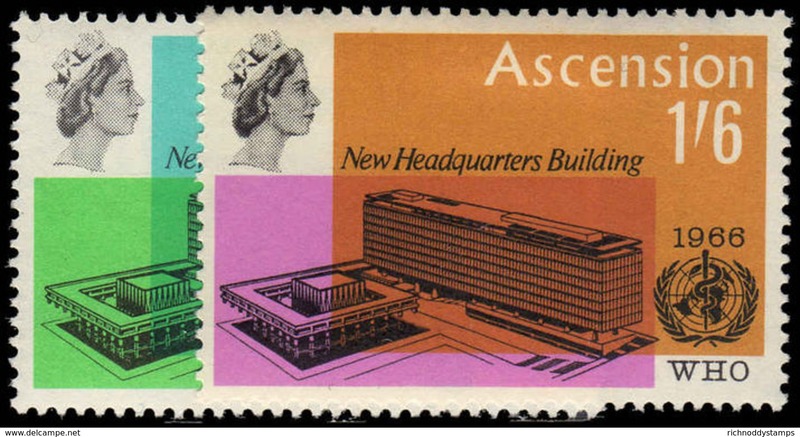 New Ascension 1984 New Coinage unmounted mint. 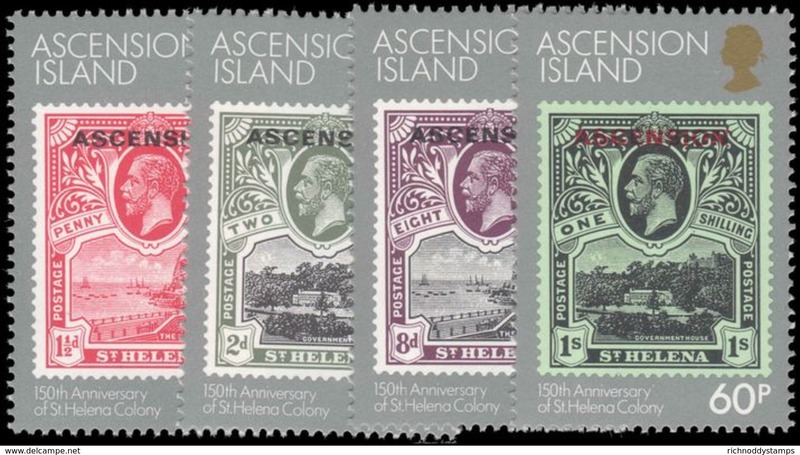 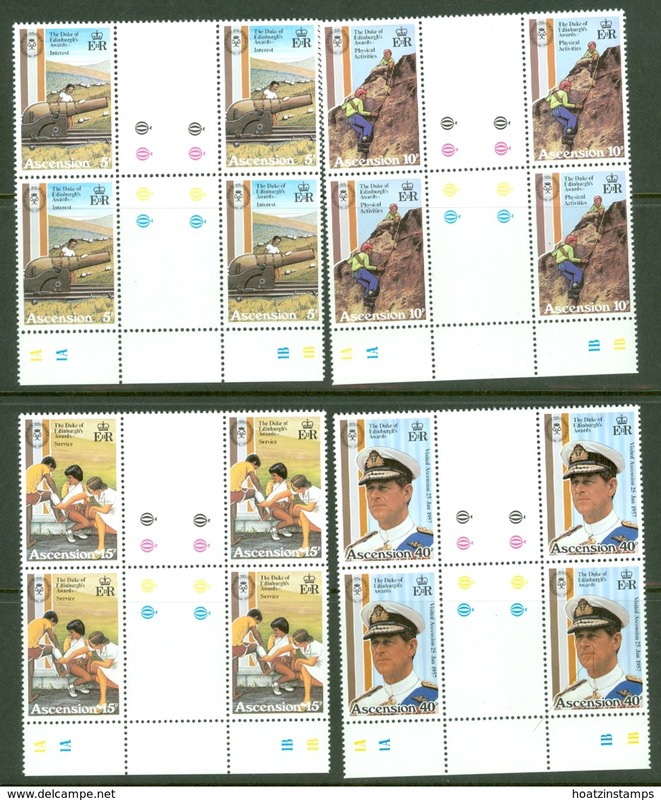 New Ascension 1984 St Helena Colony unmounted mint. 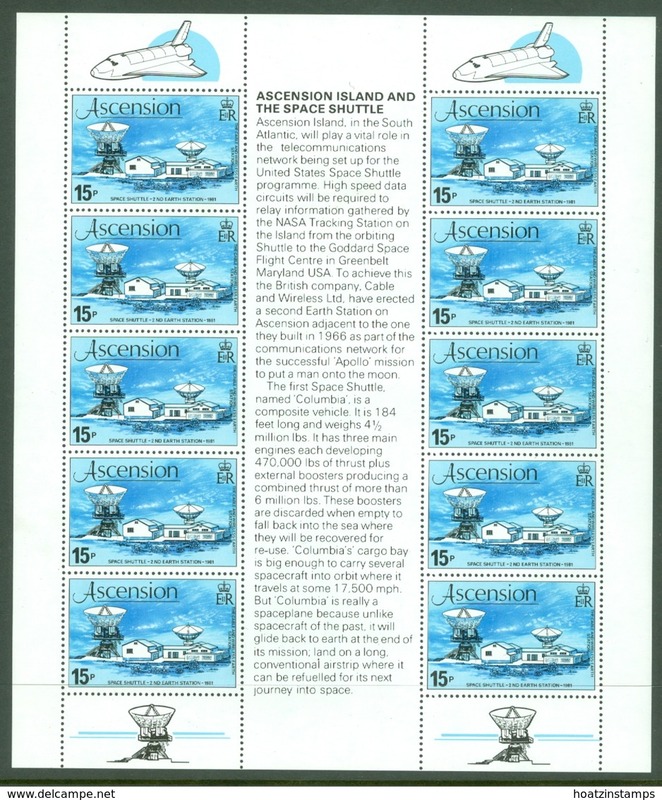 New Ascension 1983 Seashells unmounted mint. 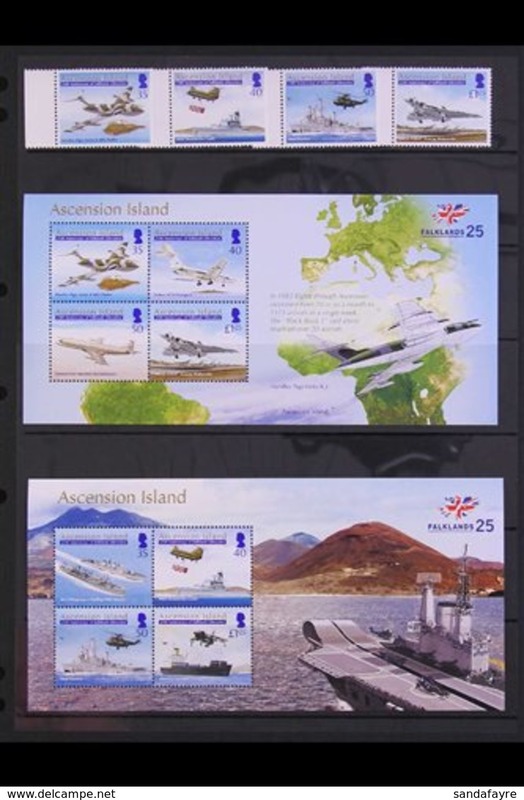 New Ascension 1983 British Military Aircraft unmounted mint. 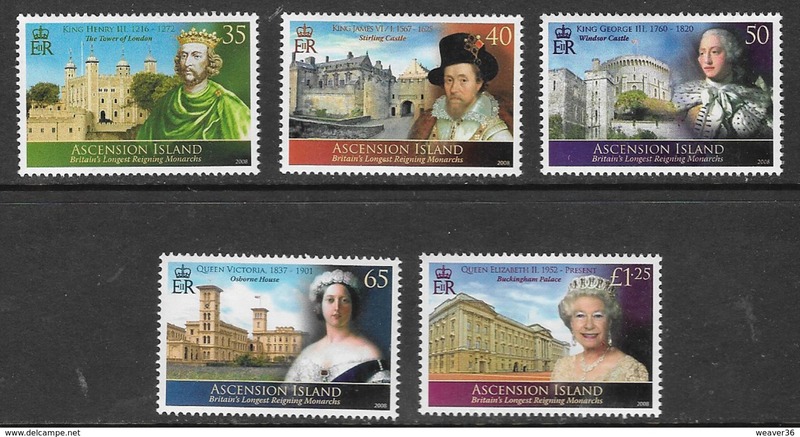 New Ascension 1983 Introduced Species unmounted mint. 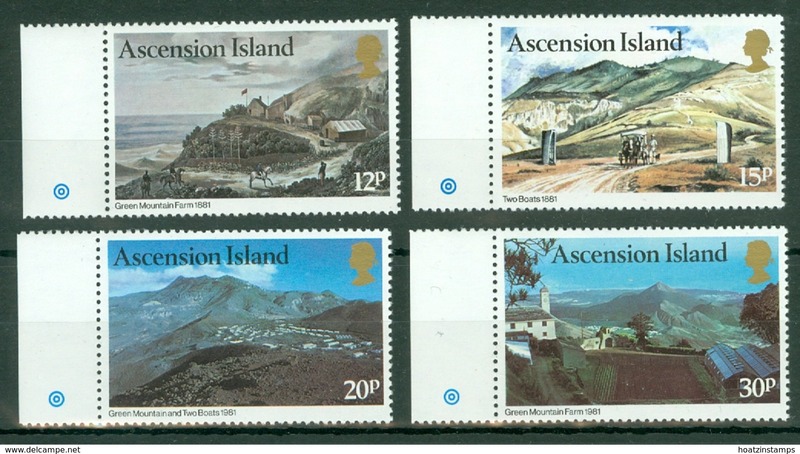 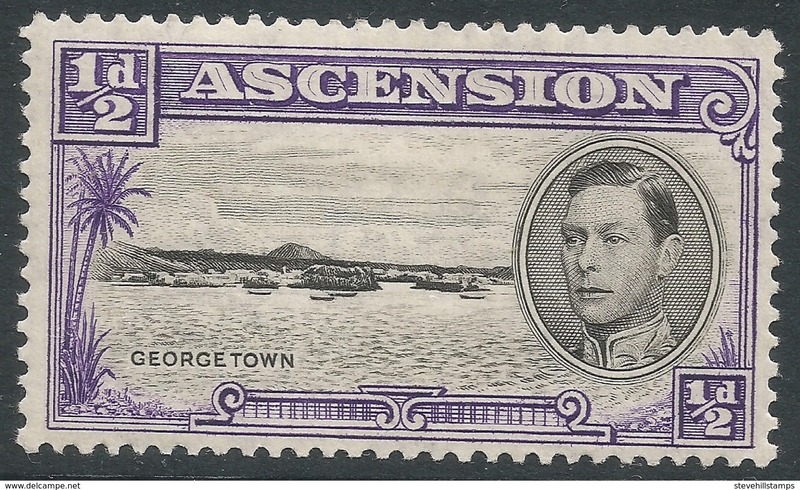 New Ascension 1983 Island Views unmounted mint. 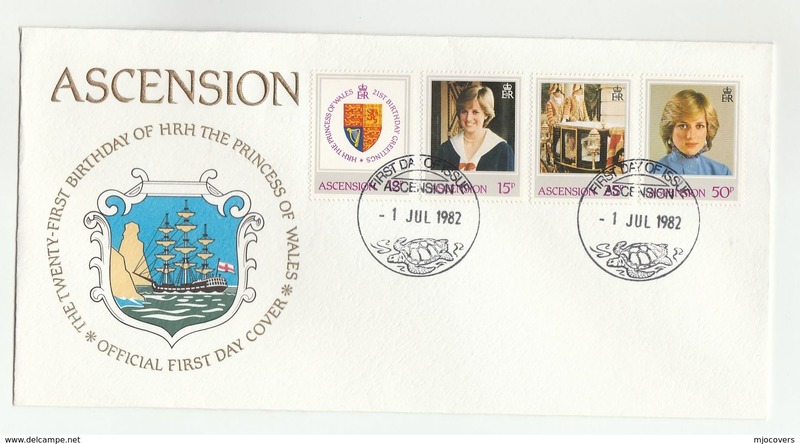 New Ascension 1983 Fungi unmounted mint. 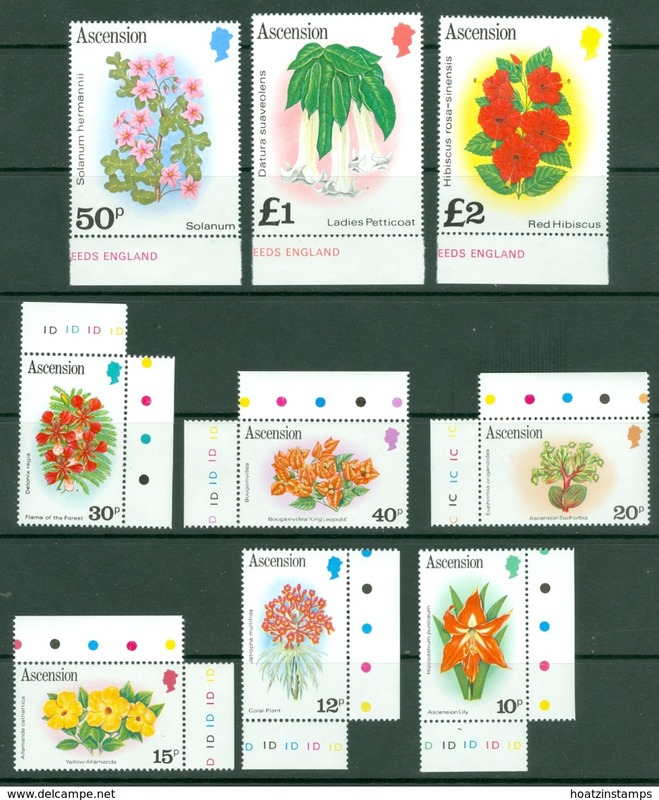 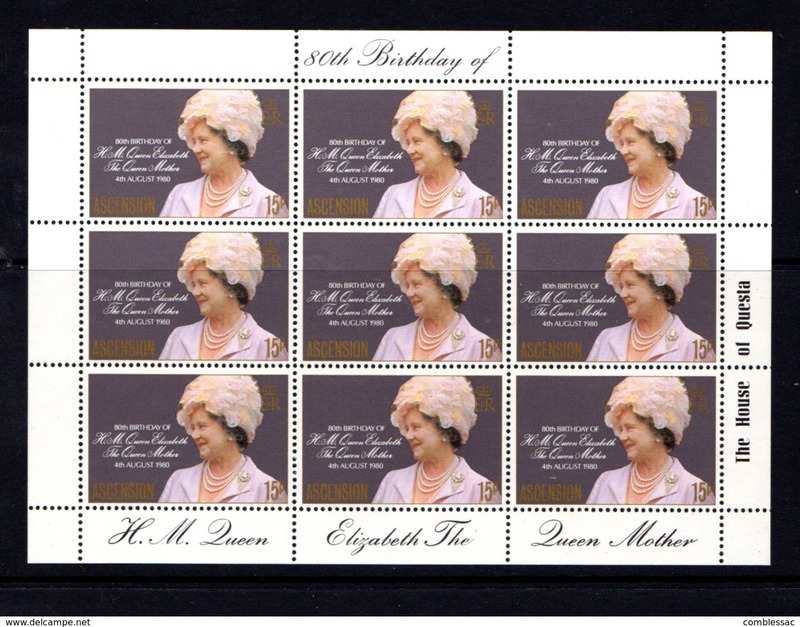 New Ascension 1982 Flowers date imprint set unmounted mint. 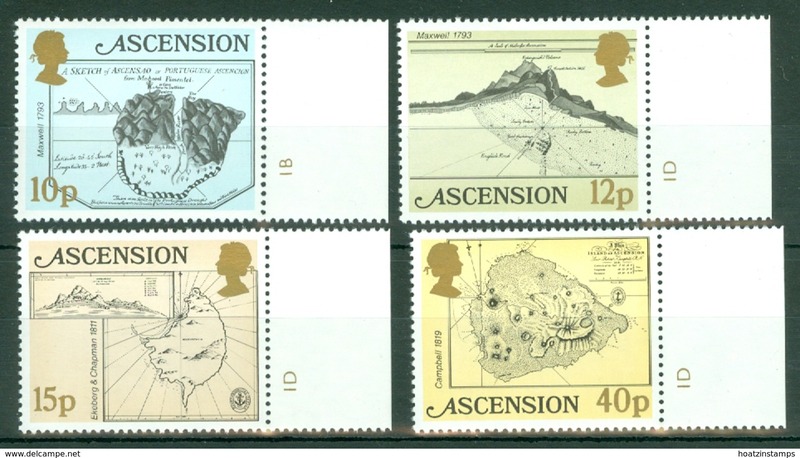 New Ascension 1981 Early Maps unmounted mint. 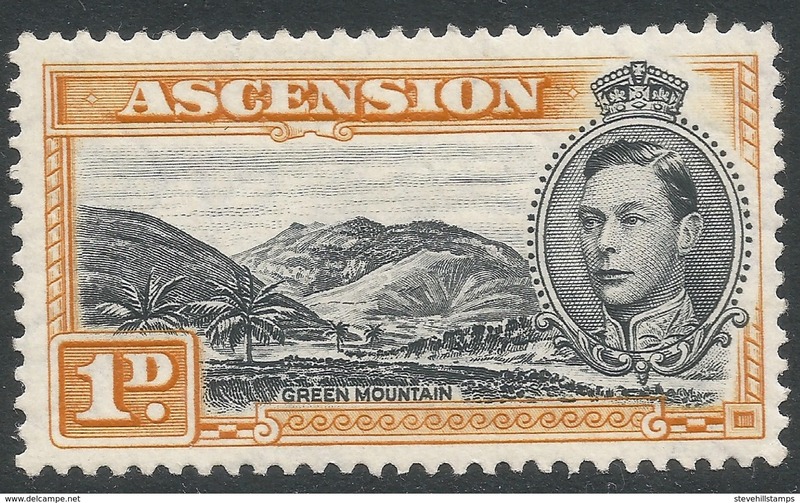 New Ascension 1981 Green Mountain Farm unmounted mint. 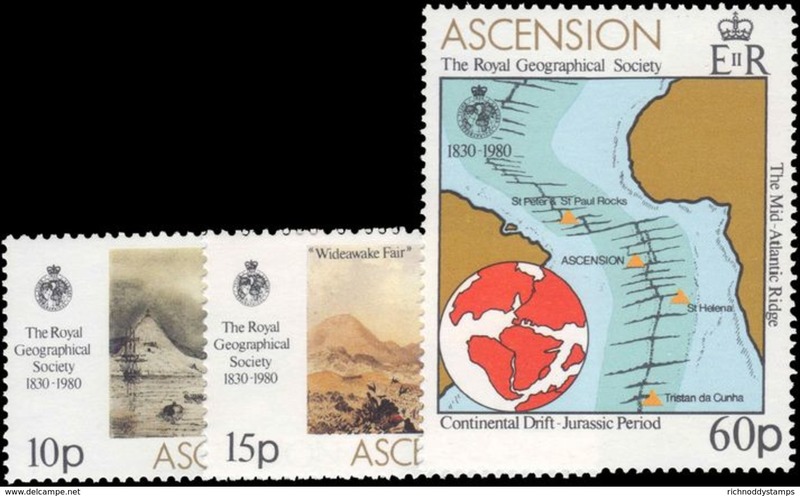 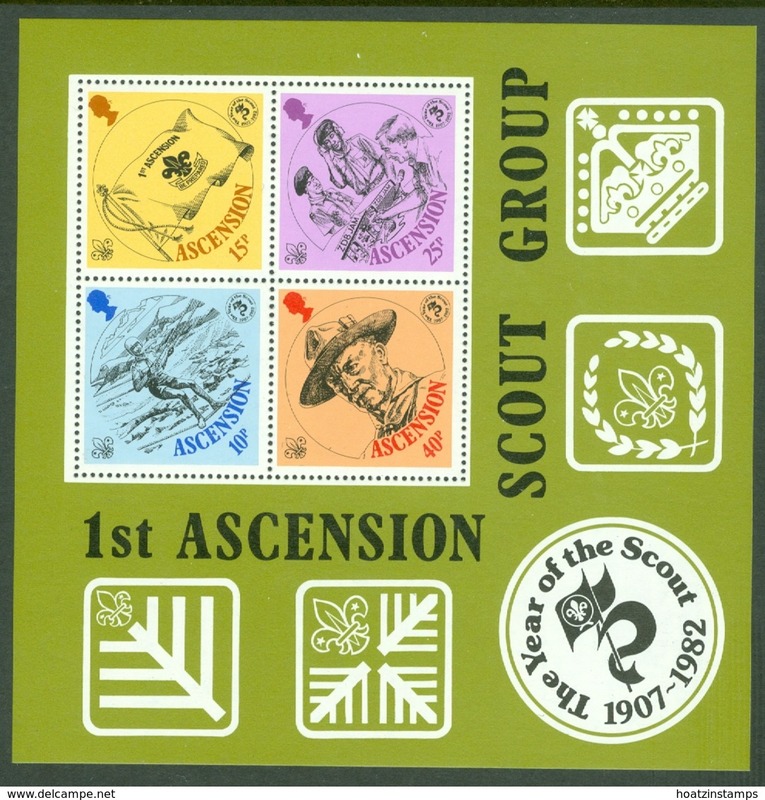 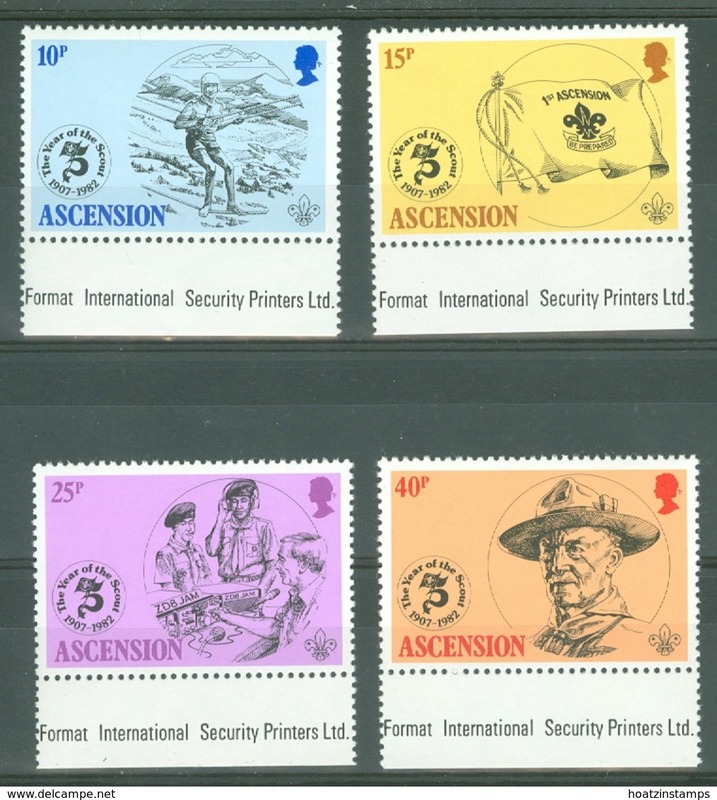 New Ascension 1980 Royal Geographical Society unmounted mint. 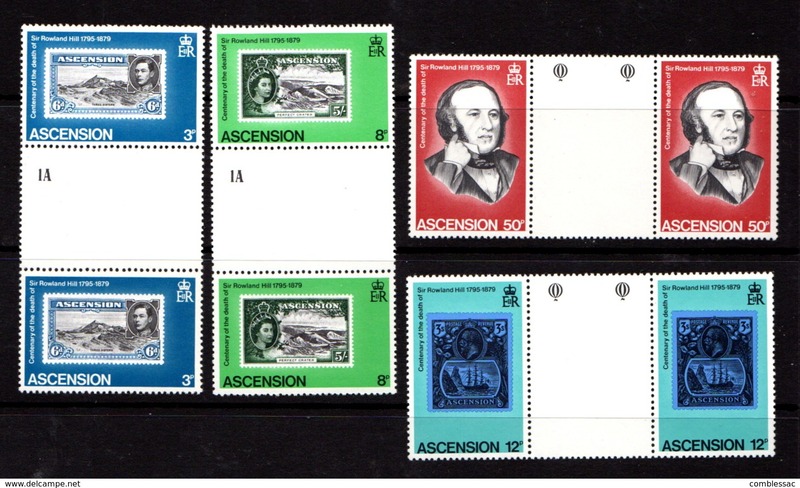 New Ascension 1980 Fish unmounted mint. 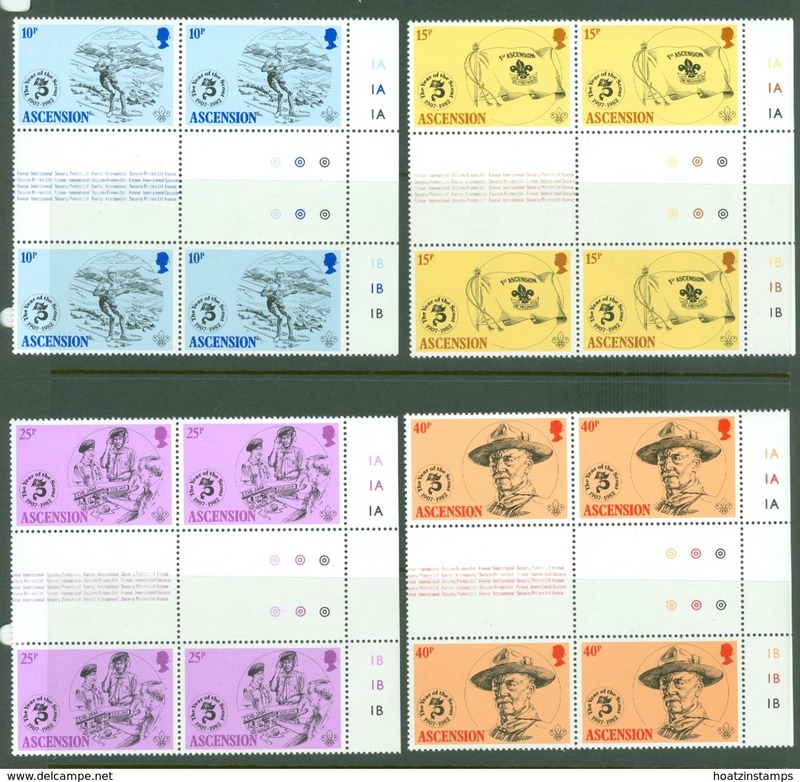 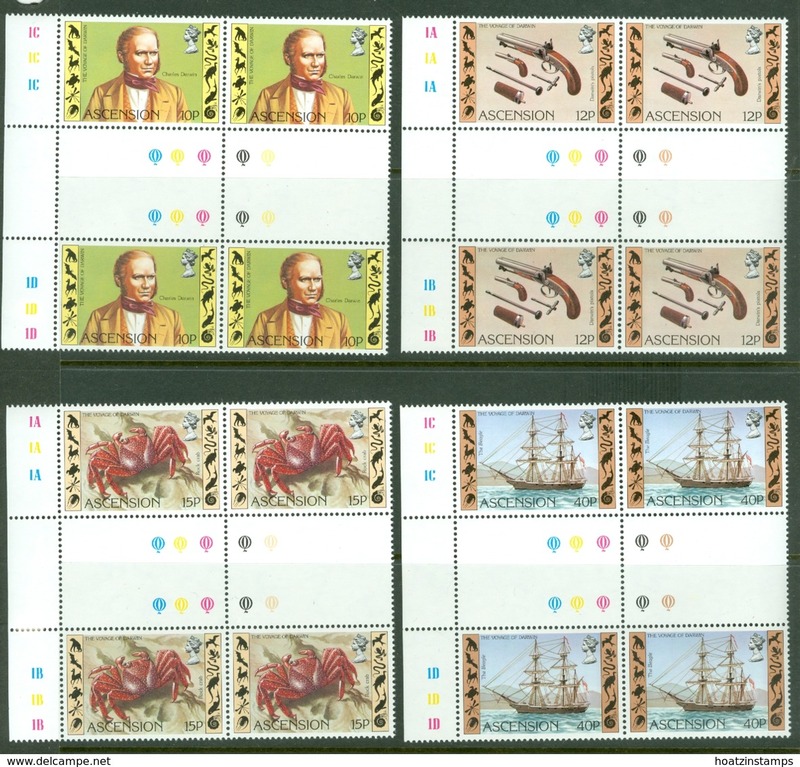 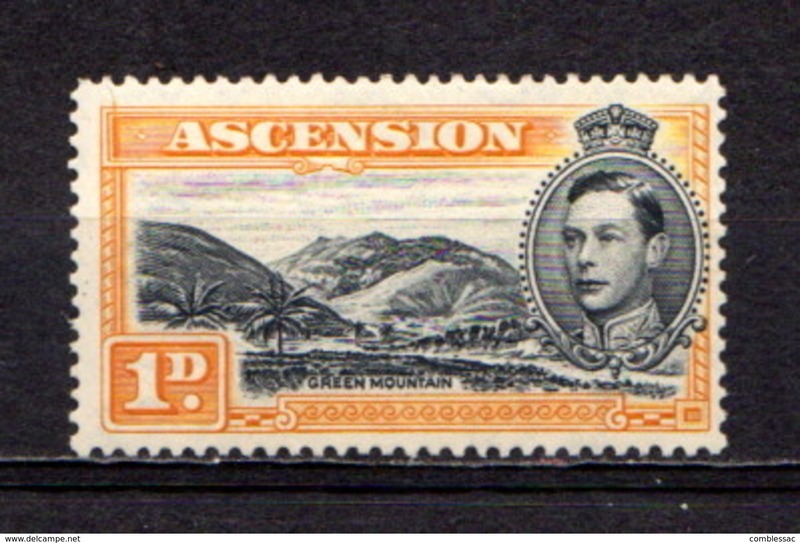 New Ascension 1979 Eastern Telegraph Company unmounted mint. 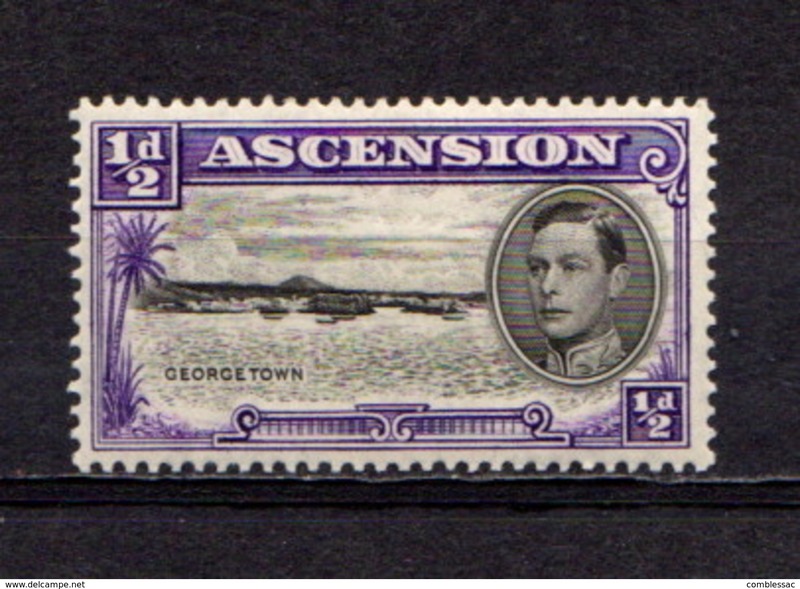 New Ascension 1975 Wideawake Airfield unmounted mint. 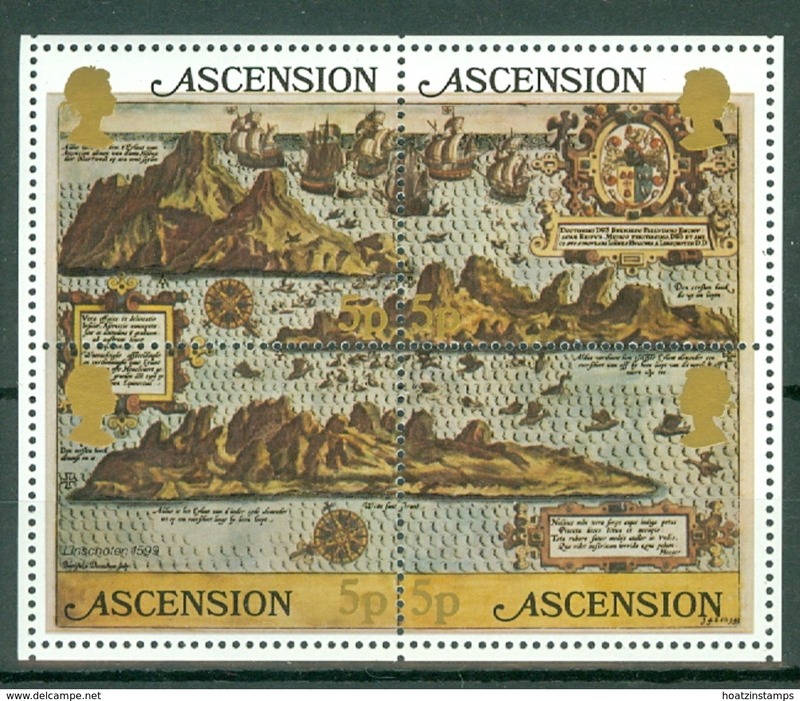 New Ascension 1973 Turtles in tete-beche pairs unmounted mint. 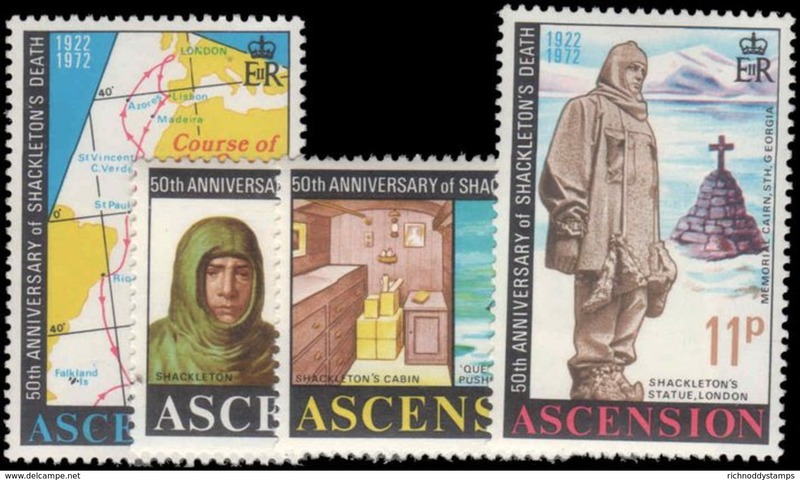 New Ascension 1972 50th Anniv of Shackleton's Death unmounted mint. 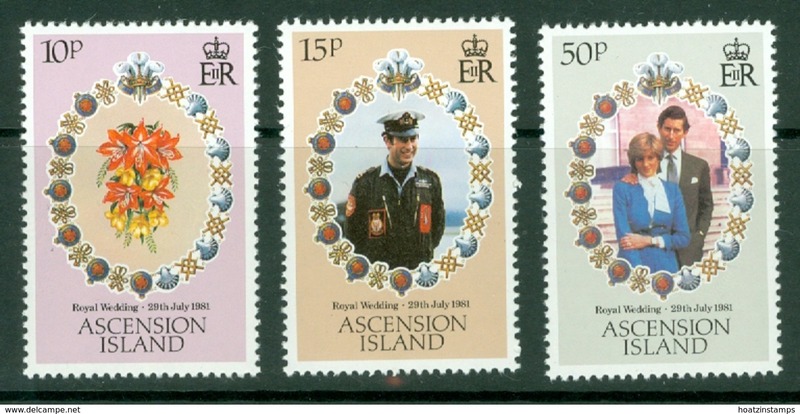 New Ascension 1971 Royal Navy Crests (3rd series) unmounted mint. 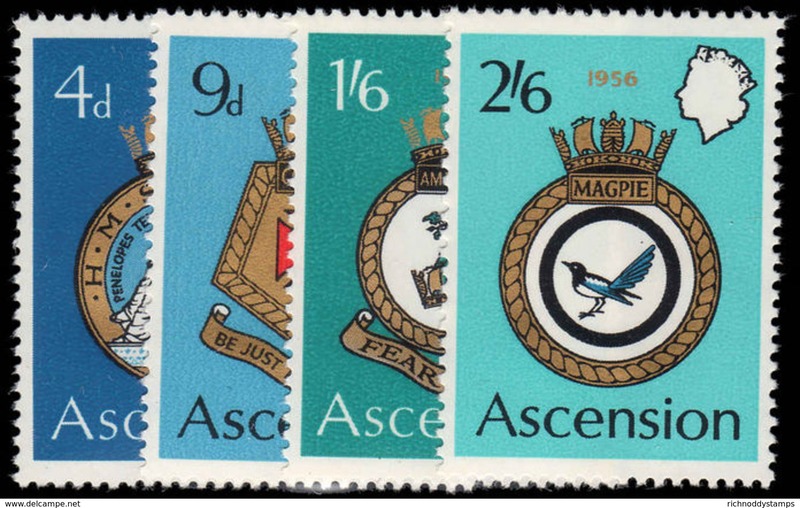 New Ascension 1970 Naval Crests unmounted mint. 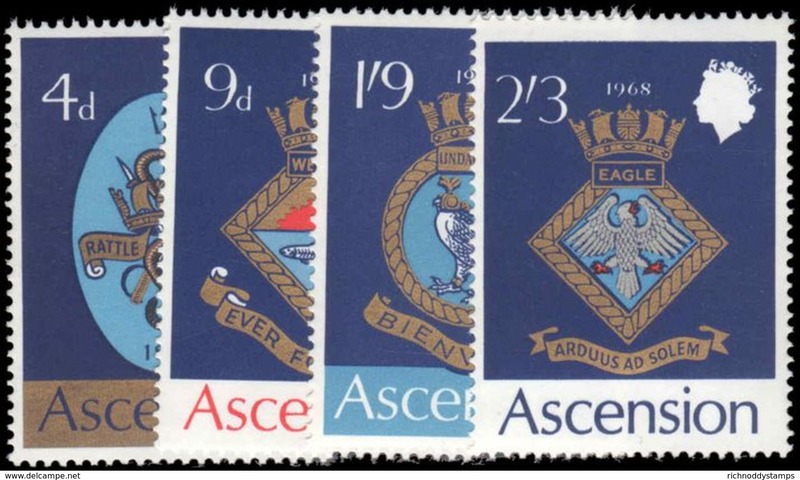 New Ascension 1969 Royal Navy Crests (1st series) unmounted mint. 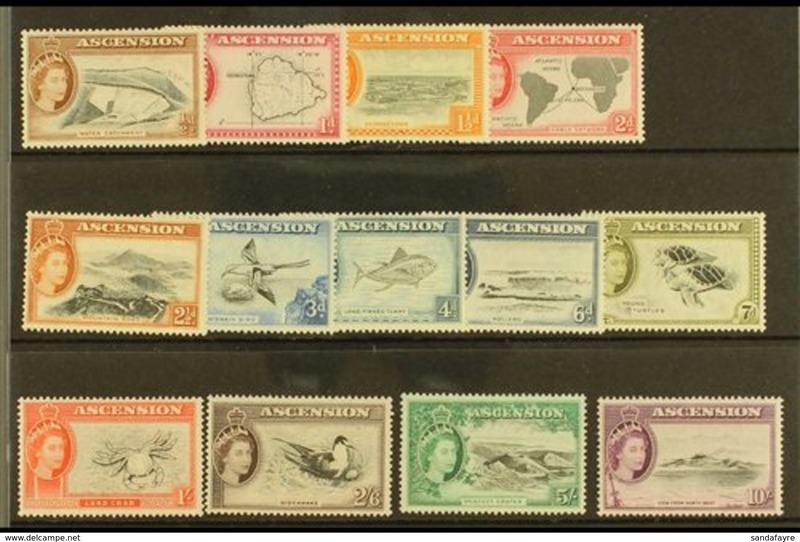 New Ascension 1969 Fishes (2nd series) unmounted mint. 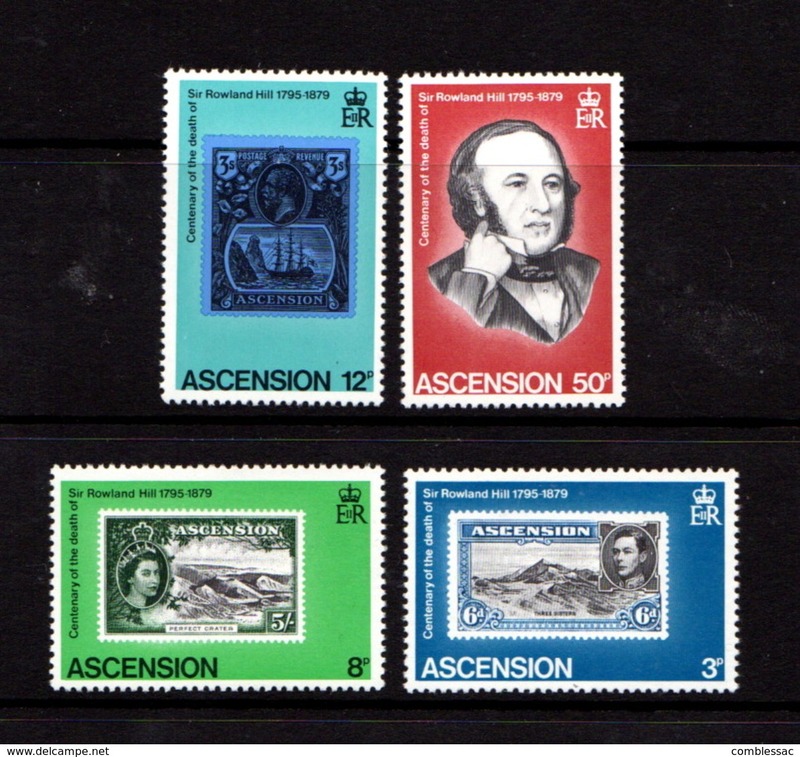 New Ascension 1968 Fishes (1st series) unmounted mint. 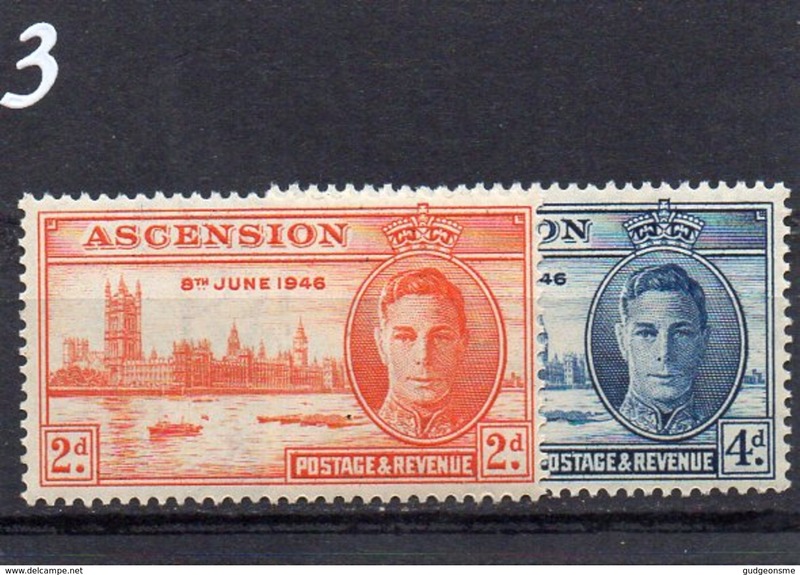 New Ascension 1966 WHO unmounted mint. 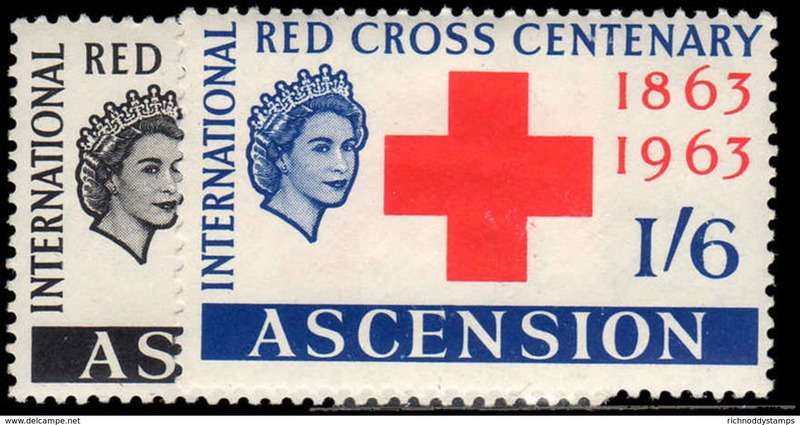 New Ascension 1963 Red Cross unmounted mint. 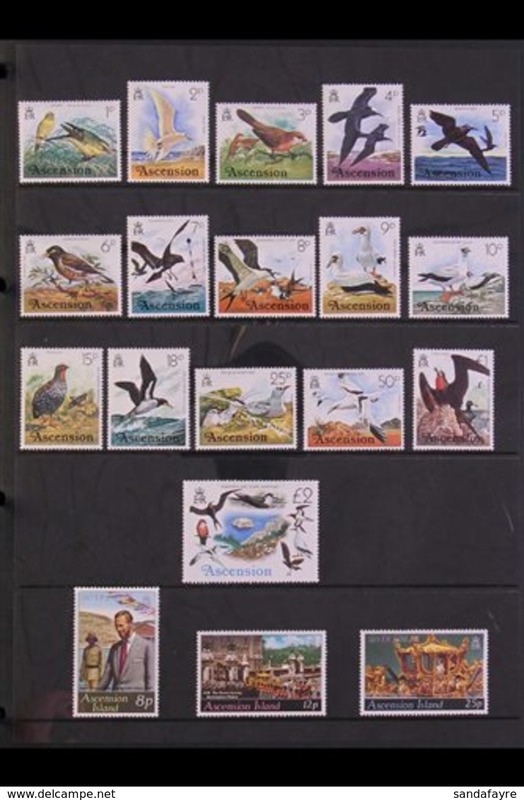 New Ascension 1963 Birds unmounted mint. 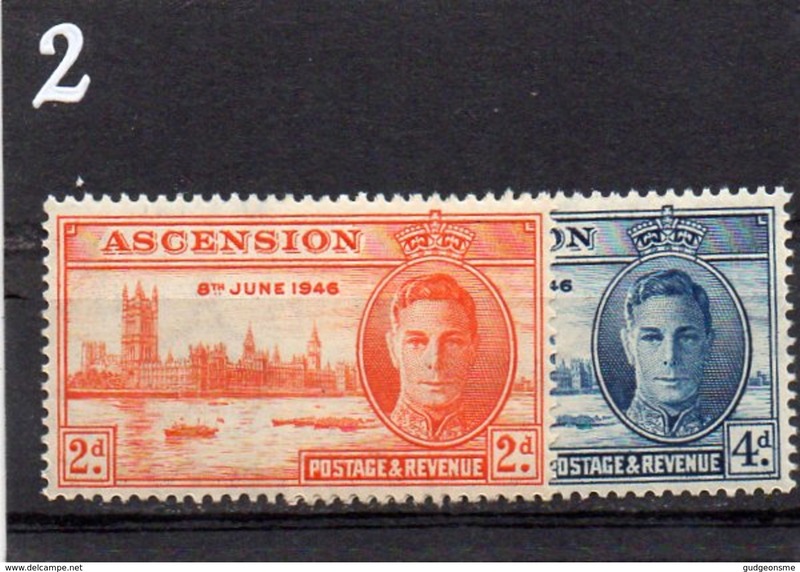 New Ascension 1956 set fine unmounted mint. 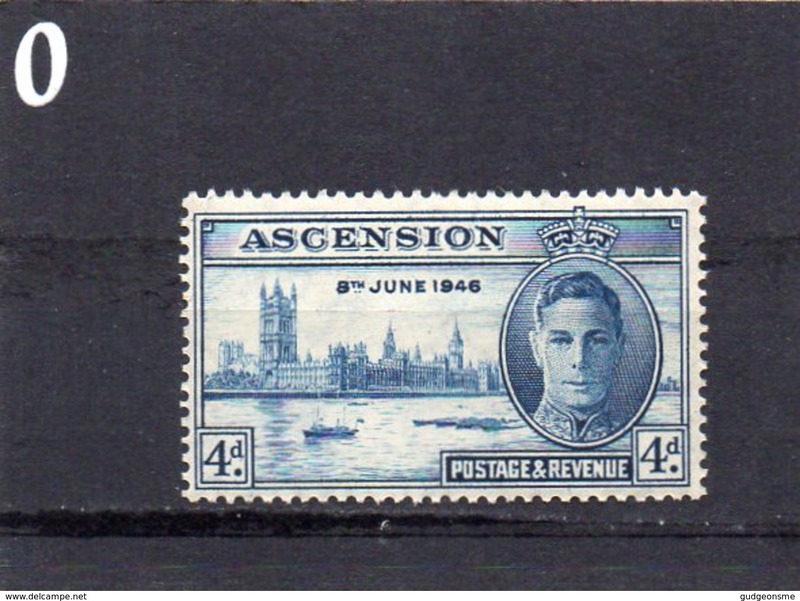 New Ascension 1949 UPU unmounted mint. 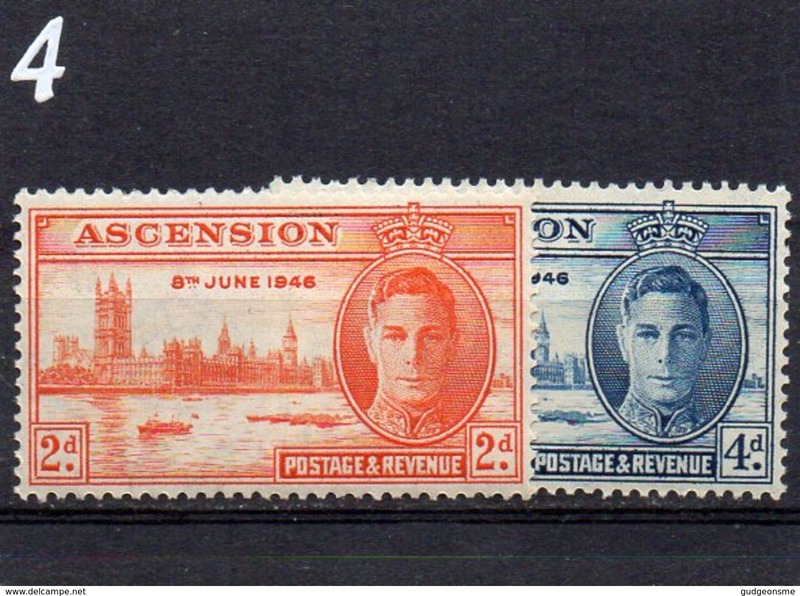 New Ascension 1948 Royal Silver Wedding mounted mint (10s creased). 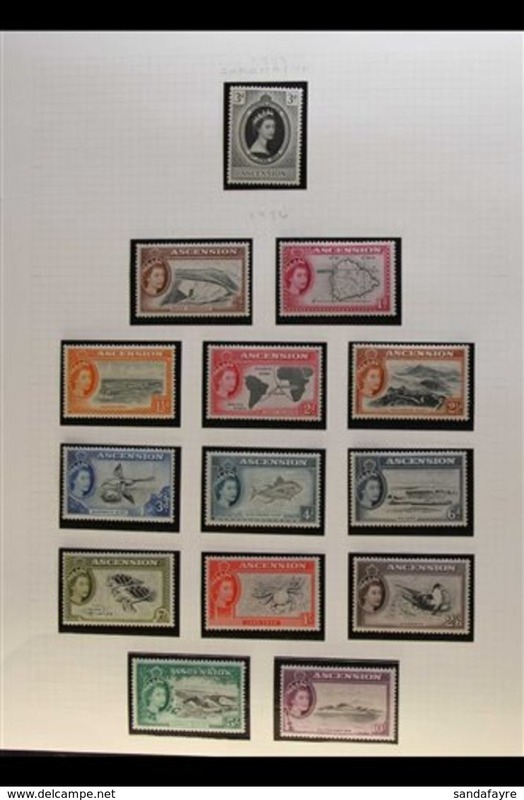 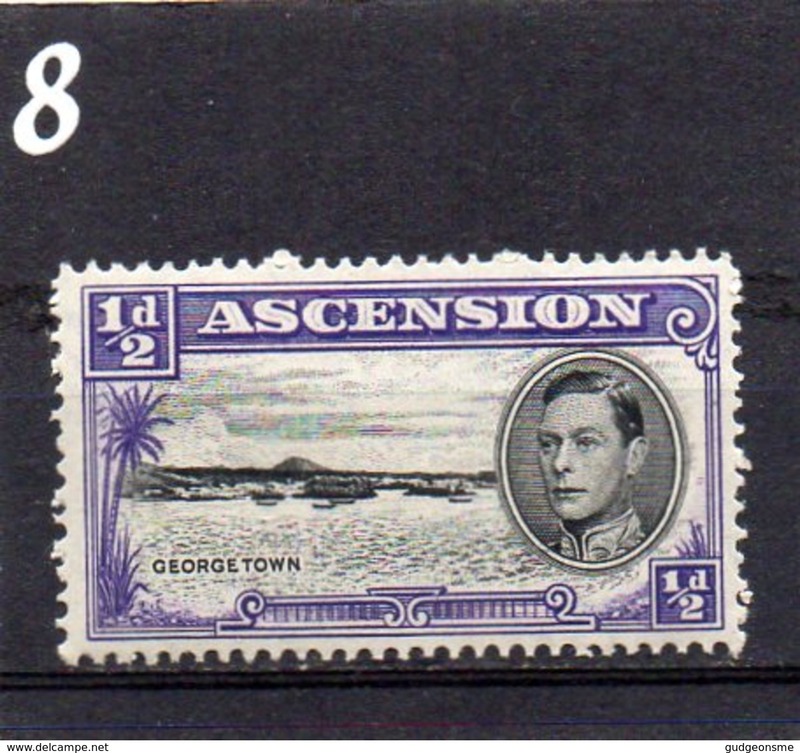 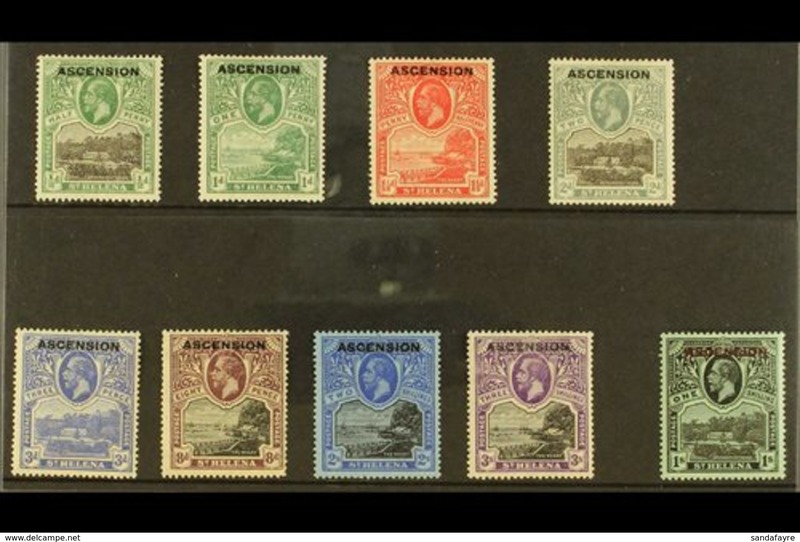 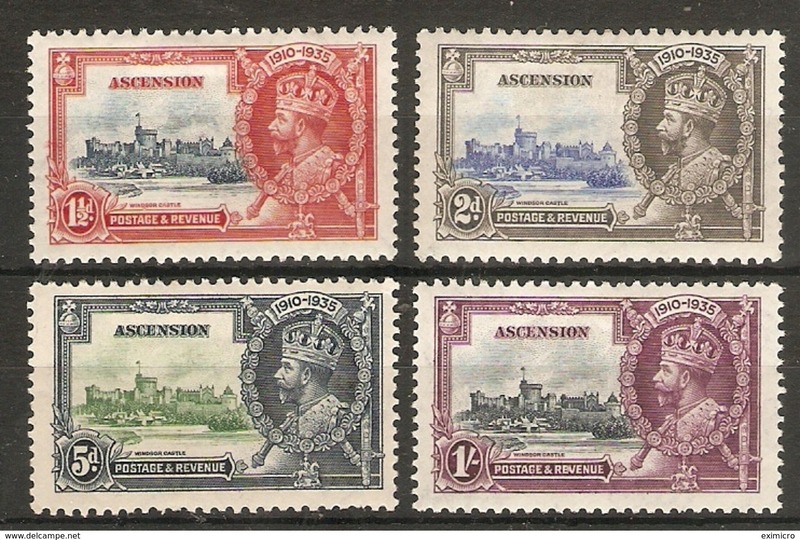 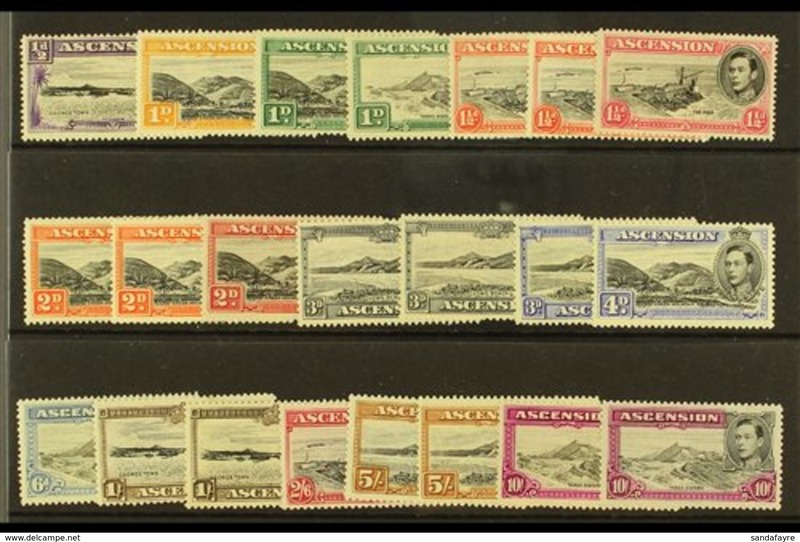 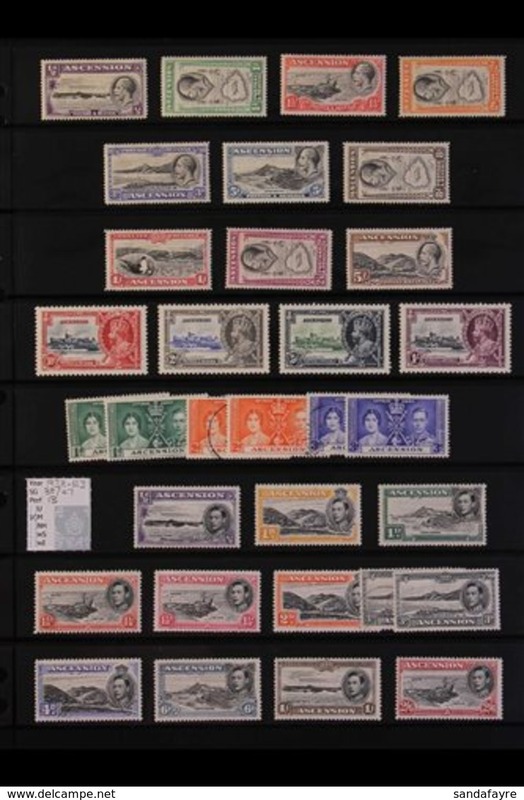 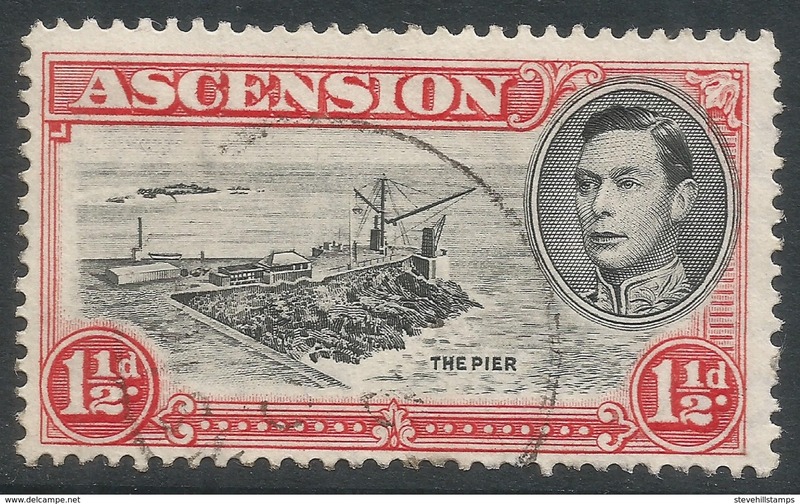 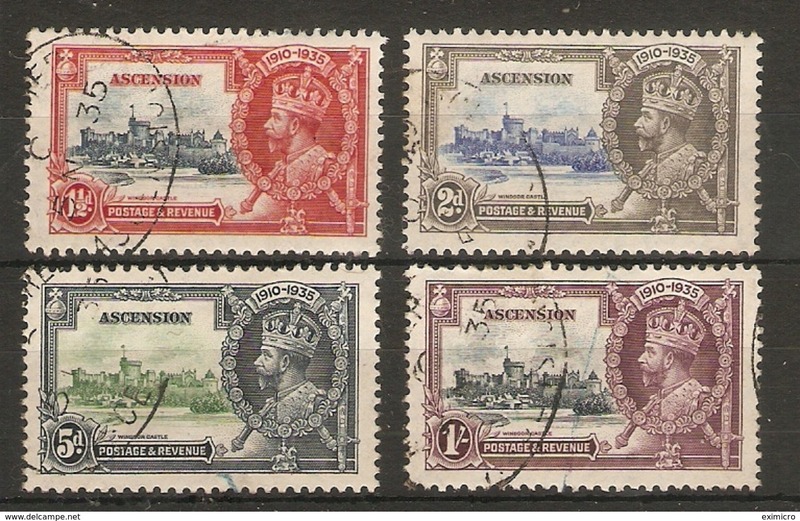 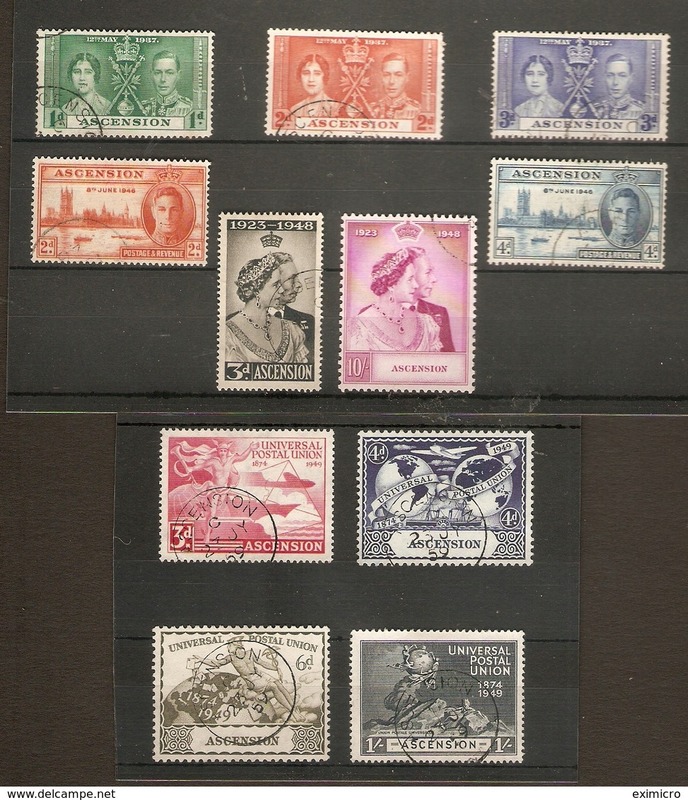 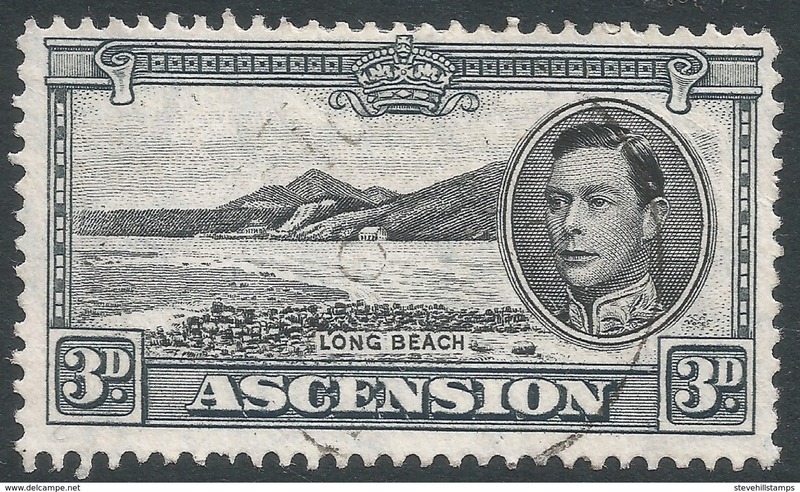 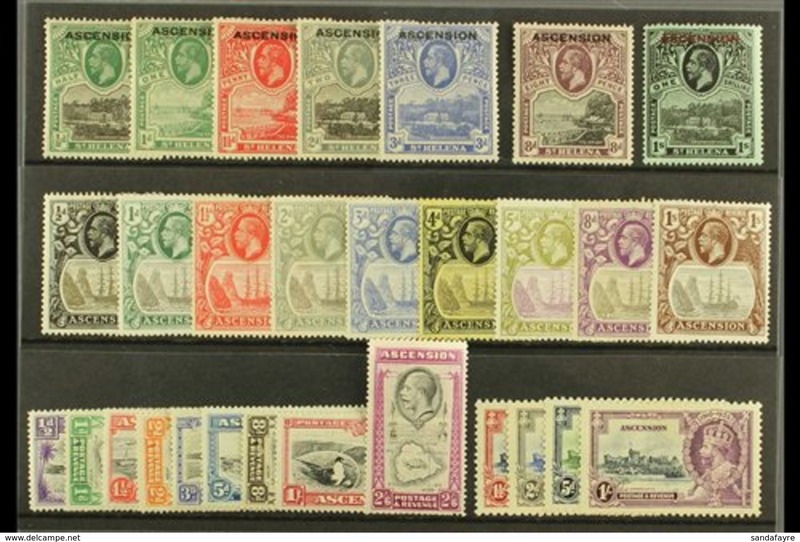 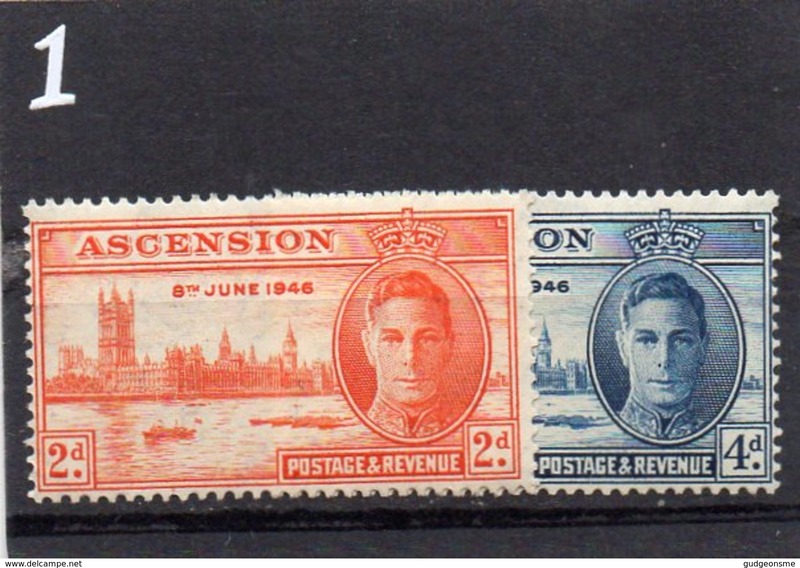 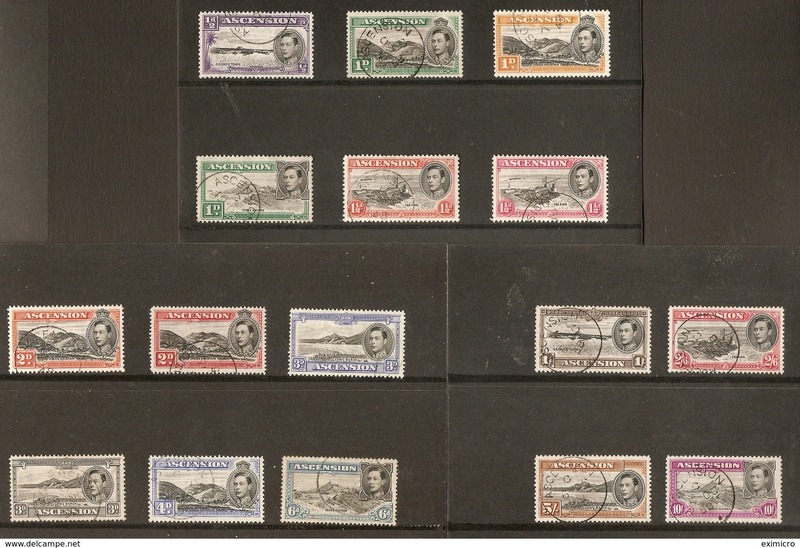 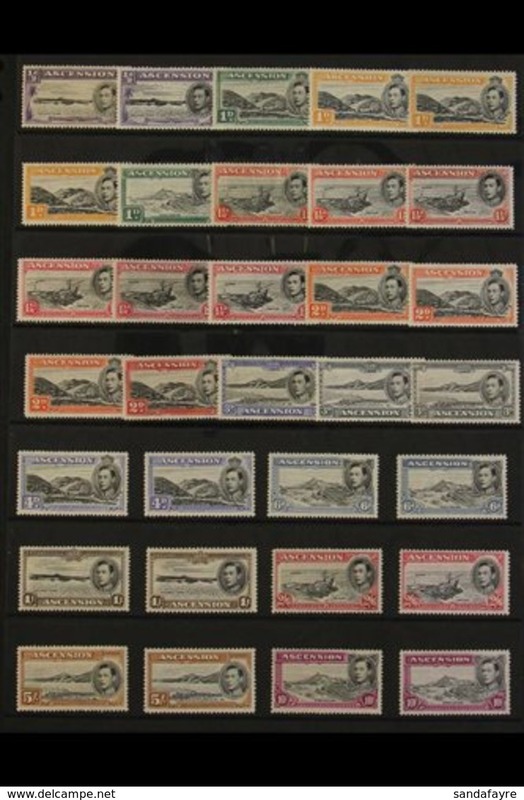 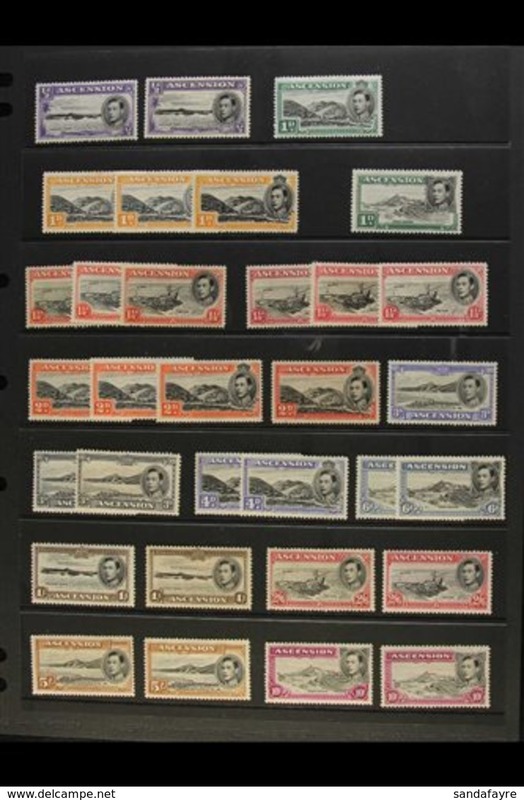 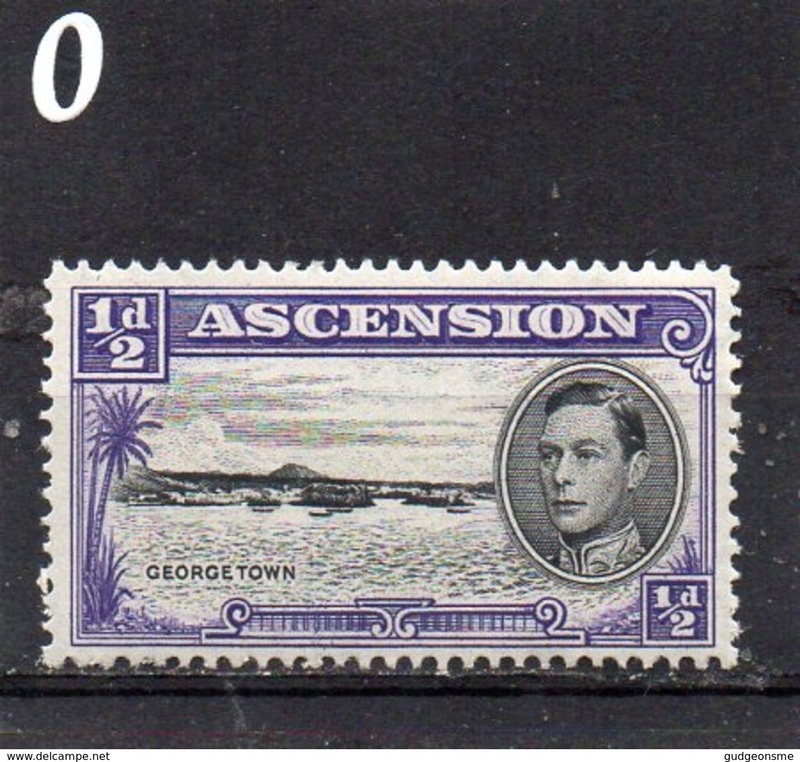 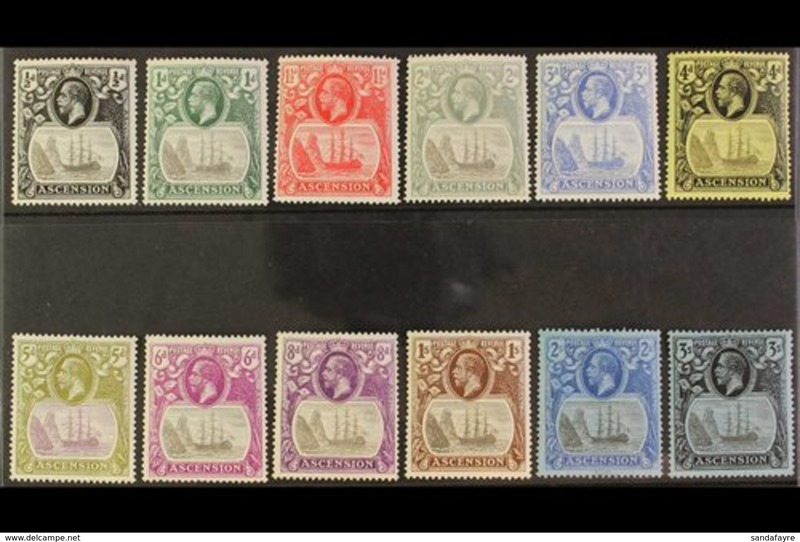 New Ascension 1937 Coronation set unmounted mint.